You can convey any complex idea or message with image quickly and clearly. But, making the best message does not take less time. In making such an informative and creative image, graphic designers collect few single images and arrange layer by layer to make a new one creative picture. 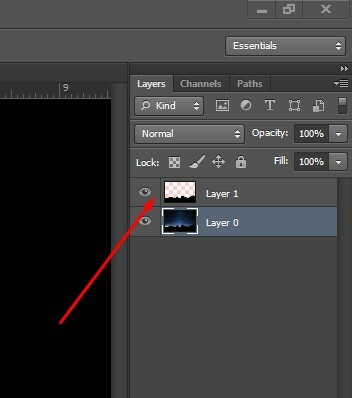 Photoshop is a great tool for high quality photo compositing, and Lightroom is also helpful in optimizing photos in a quicker way. It is a pretty much complex process, but if you try properly, you can also produce high quality photos. For helping you to create a composite image by using Photoshop and Lightroom, we are sharing one of our experiments and its result. We are going to show you the whole making process step by step so that you can do it yourself. This kind of project demands more than one higher quality images. So, what you have to do first is to collect images that are appropriate for your project. It means you have to have a plan about what you want to create before starting to composite an image and then choose & collect the related images that go with your concept. Here, we are gonna show you our concept and selected images. We have developed a concept to composite some images together to produce a lovely wedding image where the loving couple will show their love one another in an excellent moonlit & starlit black night in touch of nature. 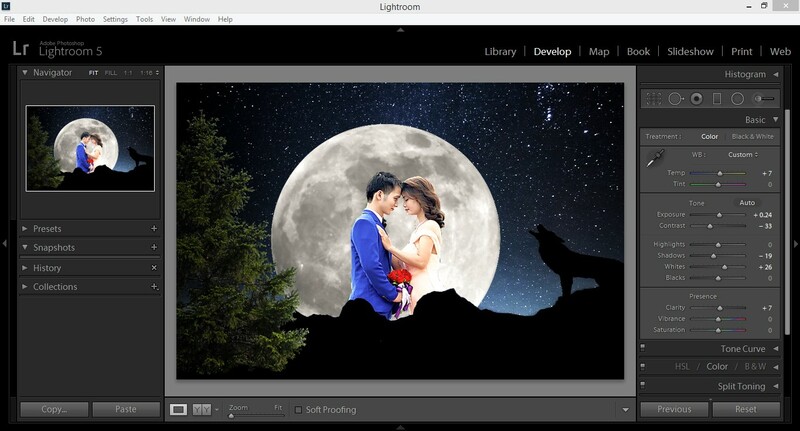 Photoshop and Lightroom are the two grand software which needs to composite images. 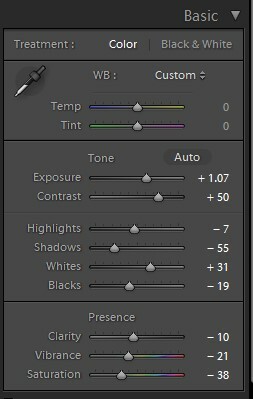 Photoshop, in such an intention, is used for compositing several photos together and the Lightroom is for color correction in relation to light. Working with these two tools is complex and you should have suitable skills & experience of using to combine images. However, below we have shown step by step method of this work. Let’s head over. 1. 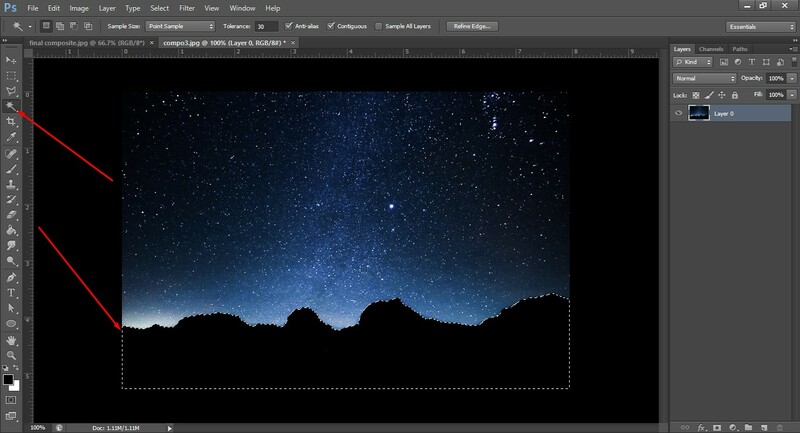 First of all the steps of compositing images into one, we open the starry sky image in Lightroom. 2. For enhancing the image quality, we increase the Exposure and Contrast level. We change Highlights, shadows, whites, etc. 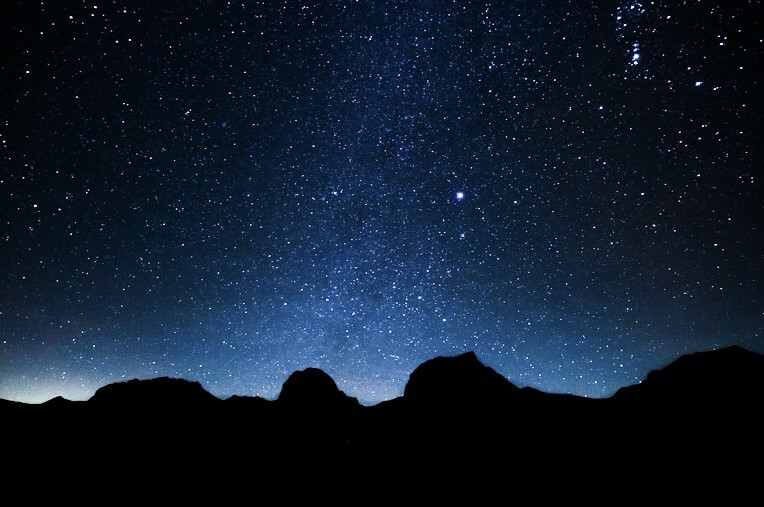 to make the background image brighter and the stars more glowing. 3. 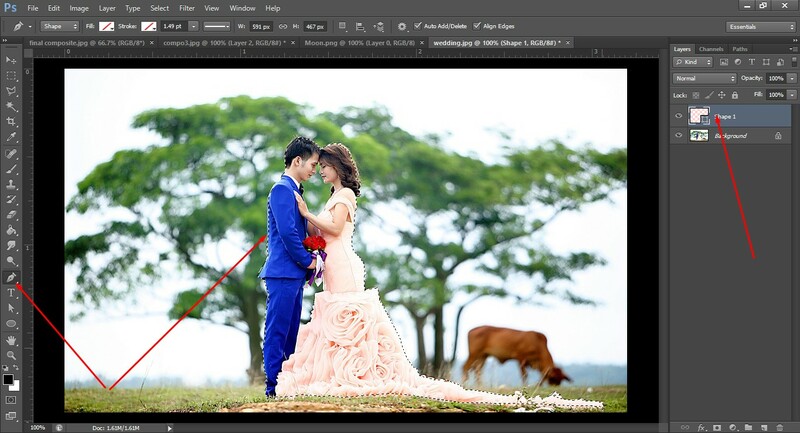 Then, we open the image in Photoshop. We place it in background. Anyway, during this whole working process, you have to move several times from Photoshop to Lightroom or vice versa. 4. We select the Magic Wand Tool and click on the hill shape black area. You can also select the area by Pen tool. We copy the area pressing Ctrl+C, take a new Layer pressing Ctrl+Shift+N, and press Ctrl+V to paste it. In the way, you will get a new layer with hill track and you will be capable to place anything behind the hill area. 5. 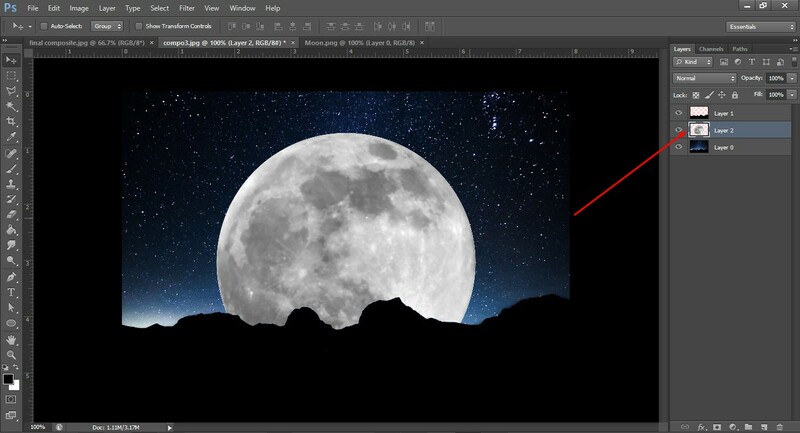 Next, we take the photo of a big moon in another layer and place it behind the hill track layer or set it on the background layer. See the image below. Then, we add a little bit outer glow around the moon. 6. In this stage, we open the image of a wedding couple and create a path using Pen tool to extract only couple’s photo. We press Ctrl+Enter to make the path selection and copy the image pressing Ctrl+C. 7. Now, we take a new layer and paste the image. See the photo below to understand the process. 8. 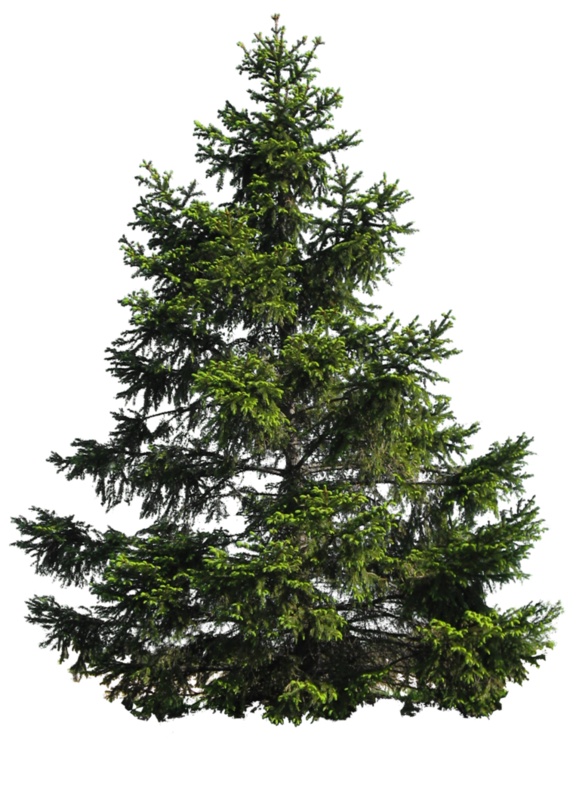 After that, we have selected a tree to place beside the moon to bring a natural setting. 9. We also set a barking fox at the right side. 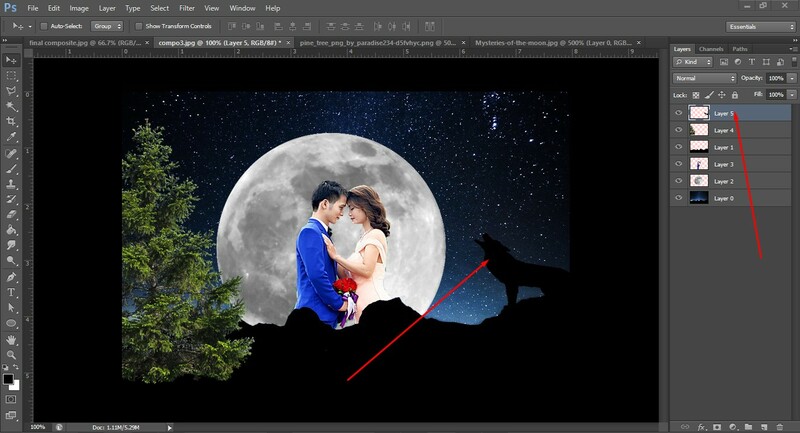 We take it from another image extracting like the couple’s picture and place on the hill track. Look at the image. 10. Finally, we got the image what we plan at the beginning. We saved the image in JPEG format and open it again in Lightroom for further retouching for color correction. Here, we have attached a demo for your understanding. 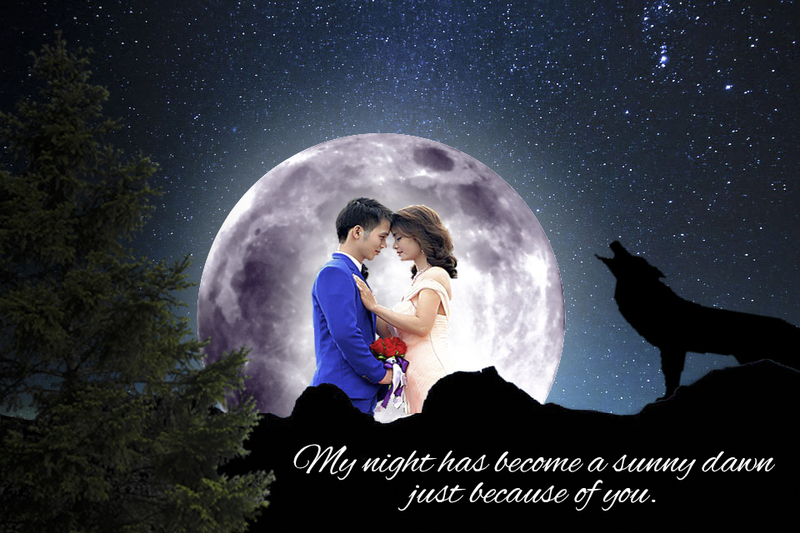 By the way, finally we again go to Photoshop and attached a romantic quote. The image below is our final image that we have got after a little bit more retouching in Photoshop and Lightroom. 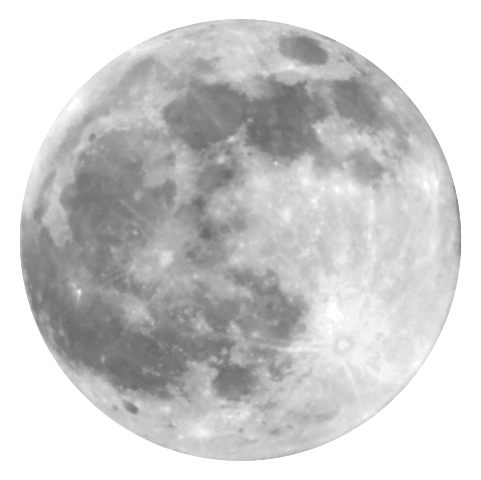 We have set glowing effect around the moon and thicken the black color on the moon. You should work on your image also according to the demand of your project. 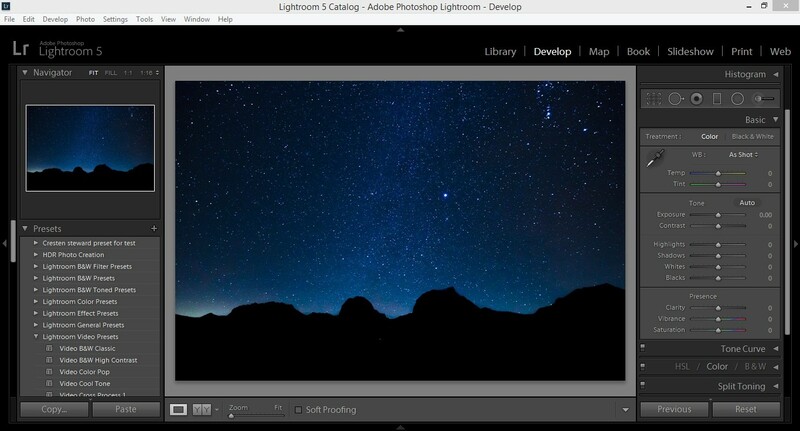 This is all about the process of photo compositing in Photoshop and Lightroom. To create this image, the mentioned steps we have followed, but when you will try DIY, the process may not be the same. Based on your concept, the steps of compositing images may differ. Your project may need some more primary images and works regarding retouching and color correction. But, what we have shown here in this tutorial is the basic. It is not a rocket-science; if you try cordially, you can create such a something new.